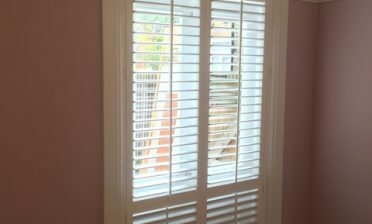 Ben was in Tunbridge Wells, Kent to fit some of our shutters to two windows of a customer’s house. One window required a single panel with the other larger window needing three panels. The customer was looking for a solution which would help further insulate the room over having the windows with standard curtains. 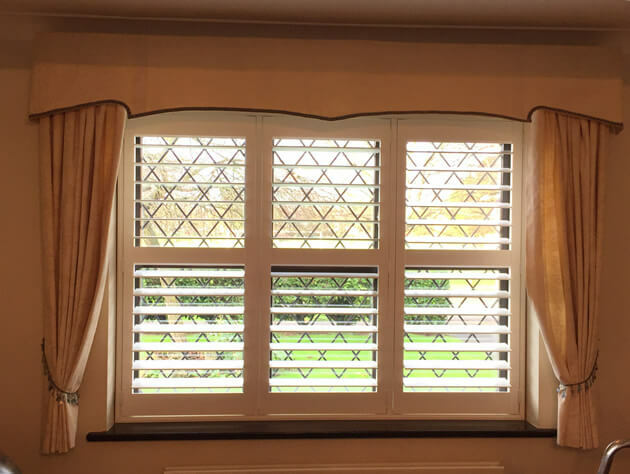 The great thing about our shutters is that they can be used alone or combined with curtains depending on what the client requires. The shutters were created from our Cuba Range which is manufactured using three different hardwoods and is one of our eco-friendly cost effective solutions. 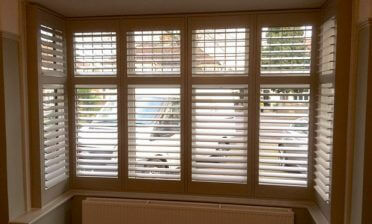 The shutters feature thick 89mm louvres and a hidden tilt rod system. 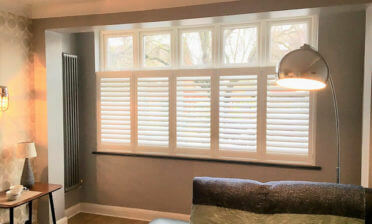 The choice was made not to use a visible tilt rod because of the style of windows behind the shutters. The property features diagonal leaded windows which may have made the shutters look over complicated if tilt rods had have been used. Both sets of shutters were created to match with central mid rails on both which line up with the middle of the window behind. 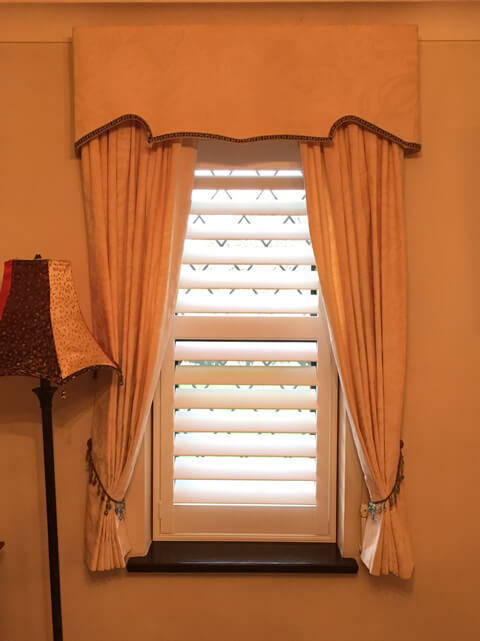 The shutters were finished in pure white with matching white hinges, with the client currently opting to keep the curtains in place which can easily be pulled over the shutters whenever required.